This one's been a looong time coming. With so much focus on the ruling dubstep scene, the world has never been better primed for a definitive compilation drawing together the original Digital Soundbwoys of Jamaican Dancehall culture and who better to do it than Soul Jazz with the help of everybodies favourite reggae journalist, Steve Barrow. Reggae music is made to be played in the Dancehall, it is a functionalist music of the highest order and in the early 1980's when producers started switching onto digital instrumentation, and found they could produce far more powerful and effective sounds to play on their friends rigs, the whole culture of Jamaican music changed irreversibly. 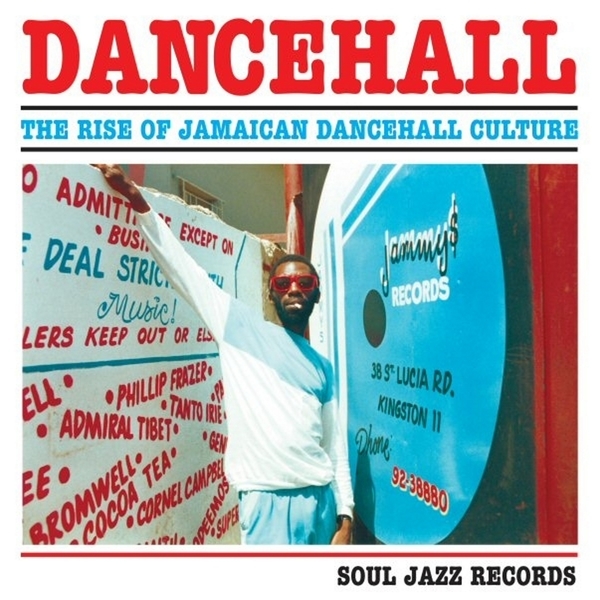 This compilation collects the finest examples of this fertile and wholly addictive period in Dance culture with tracks from Yellowman, Tenor saw, Chaka Demus & Pliers, Ini Kamoze, Barrington Levy, Cutty Ranks, Sister Nancy, Half Pint, Early B, Brigadier Jerry, and a whole world of other producers, Deejays and MCs with equally killer names over 33 absolutely amazing tracks on 2 CDs with extensive liner notes from Steve Barrow and exclusive photographs from Beth Lesser. If you're into any form of dance music today, you really have to pay your dues and invest in this wicked set of pure dance history. We can't recommend this any higher! Forward!! !